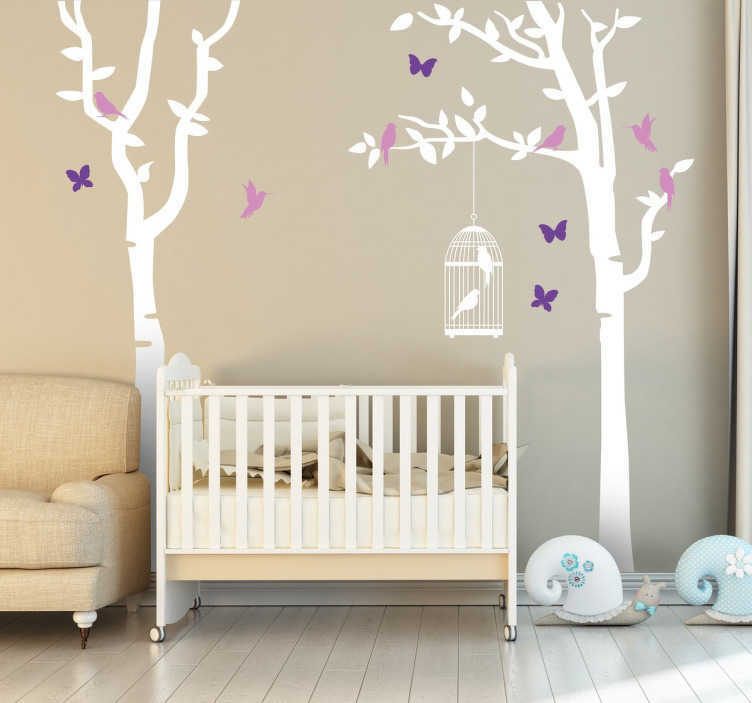 A beautiful tree wall sticker of two tall trees surrounded by birds and butterflies, complete with a hanging bird cage. This impressive wall decal is ideal for instantly transforming a plain space and also bringing a touch of nature into your home. The elegant and delicate design is perfect for creating a calming and peaceful atmosphere in anywhere from your living room to the nursery. From our collection of bird wall stickers. Choose the size and colours that best fits in with the rest of your decor. Apply easily to any flat surface and remove without leaving any residue.